Vibhuti Agarwal reported on Saturday at The Wall Street Journal Online that, “Indians are acquiring a strong taste for soybean oil thanks to lower prices, fueling a surge in imports at a helpful time for a global market struggling with a glut of the commodity. “In addition to a growing middle class that can afford soybean oil, India’s increase in imports reflect a multiyear drop in domestic production. That decline was especially pronounced last year, when production of soybeans fell nearly 20% to its lowest in more than a decade after poor monsoon rains and pest attacks hit yields,” the Journal article said. However, Mr. Meyer noted that, “The three Cargill ingredients meeting project standards were cane sugar, high oleic sunflower oil and erythritol, a zero-calorie bulk sweetener made from corn. Of the three, corn is the only crop currently grown with genetically modified traits. Meanwhile, Jacob Bunge reported yesterday at The Wall Street Journal Online that, “Consumers’ desire for deeper transparency into how food is made will continue pushing food companies to label ingredients made from genetically engineered crops, company executives said. The Journal article indicated that, “For shoppers at Wal-Mart Stores Inc., price, quality and safety are customers’ top priorities when it comes to food, rather than GMO content, said Frank Yiannas, vice president of food safety for the company, speaking at the [WSJ Global Food Forum] event Thursday. “‘The debate never should have been about labeling,’ Mr. Yiannas said, but rather about whether GMOs are safe or not, and relying on science as the guide. Jacob Bunge reported yesterday at The Wall Street Journal Online that, “U.S. agriculture officials warned Thursday that farmers, ranchers and food companies could lose out in the long-term if lawmakers shy away from pursuing big trade deals. Darci Vetter, ambassador and chief agricultural negotiator for the Office of the U.S. Trade Representative, says the Trans-Pacific Partnership would open up growth opportunities for U.S. agriculture in Asian markets. She spoke with WSJ’s Rebecca Blumenstein at the WSJ Global Food Forum. The Journal article noted that, “‘The issue of trade has become a political football, unfortunately,’ said Julie Maschhoff, co-owner and vice president of the Maschhoffs LLC, an Illinois pork producer. Julie Maschhoff, co-owner and vice president of the Maschhoffs LLC, an Illinois pork producer, explains why trade agreements are critical for expanding markets for excess U.S. protein supplies. She spoke with WSJ’s Joanna Chung at the WSJ Global Food Forum in New York. Updated: China Reformed Domestic Corn Policy, But “Headaches” Persist for U.S.
Wall Street Journal writer Lucy Craymer reported today that, “China’s effort to overhaul its bloated corn sector has sent local prices to their lowest levels in 10 years—and left animal-feed imports from the U.S. more expensive for Chinese livestock farmers. “China has been trying to auction down its stockpile—the largest in the world—amid the latest step in reforming its agricultural sector: The government this spring scrapped a minimum-price support program for corn started in 2007-08. That program, in which the government bought corn to keep prices above a certain level, had proved so popular that farmers grew more. The stockpile soared, doubling in size between 2009 and now. 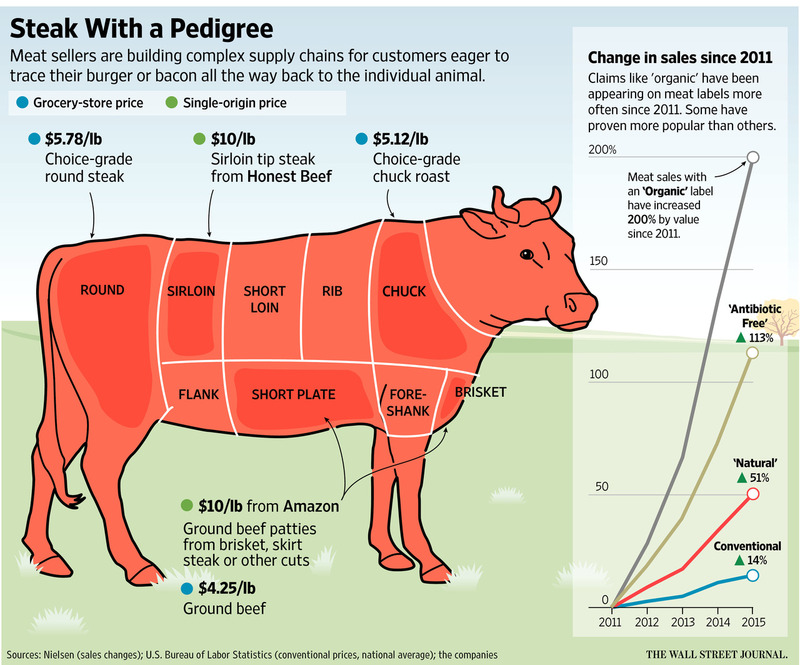 The Journal article noted that, “Beyond China, the changes are pressuring what last year was a more-than $10 billion imported animal-feed market, much of which originates from the U.S. and has been popular with Chinese livestock farmers because it was cheaper than local corn. Ms. Craymer added that, “But China’s corn prices, propped up for so many years, still have a long way to drop before they would start to compare to international ones: The most widely traded corn futures contract on the Chicago Board of Trade this week was around US$137 a metric ton—about 34% less than prices for the most-traded Chinese corn contract. “The prices of corn vary, naturally, according to whether the corn is from a new harvest or from earlier ones, which usually end up as animal feed or ethanol. But a look at prices on China’s Dalian Commodity Exchange shows how much prices have fallen from when the price-support mechanism was abandoned: Last Friday, the most recently available price in China, the January corn contract closed at 1,392 yuan—about $208—a metric ton. That was down 12% from March 29 when the price floor was removed. Recall that the United States last month launched a challenge at the World Trade Organization regarding China’s price supports for domestic wheat, corn and rice. More specifically, Reuters writers Karl Plume and Tom Polansek reported last month that, “U.S. 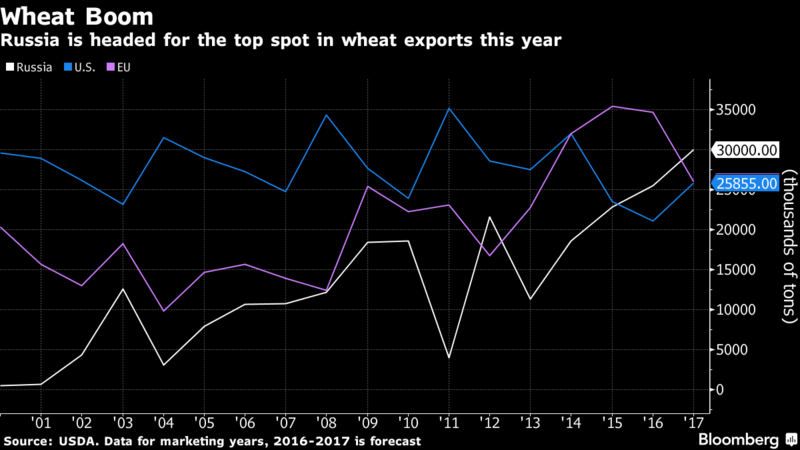 wheat farmers, struggling to make money as prices sink and global supplies swell, could be the main beneficiaries if Washington wins a case it brought last week against China over an estimated $100 billion in domestic grain market supports. The Journal added that, “Beijing got smart in March and switched to a policy of ‘market-oriented purchase and subsidy.’ The market will set the price of corn, and farmers will receive cash payments based on acreage. The price of corn could fall another 30% to the global level. “The problem of what to do with a mountain of rotting corn remains. State trading companies plan to export some of it, but the U.S. government estimates that China will have to write off $10 billion of spoiled grain.